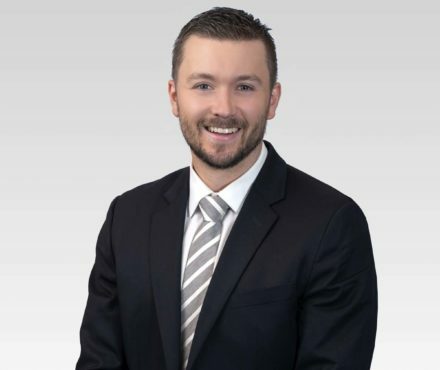 Braeden Wiens is an Associate in the general litigation group primarily focused on the practice of commercial litigation. Braeden also practices in the areas of labour and employment, regulatory, and personal injury. Prior to joining Lindsay Kenney LLP, Braeden summered, articled, and practiced at a leading regional law firm in Vancouver. He obtained a Bachelor of Arts from the University of the Fraser Valley in 2012 before attending the Faculty of Law at the University of Western Ontario, where he graduated with a Juris Doctor in 2017. During his time in law school, he was a volunteer at the University of Western Ontario Community Legal Aid Clinic and the University of Western Ontario Sport Solution Clinic. He also worked under Prof. Richard McLaren who was the author of the McLaren Report which exposed organized Russian sport doping. With a focus on negotiation and mediation, Braeden strives to find a practical and efficient resolution for his clients. If that resolution requires going to court, he has the skills to achieve the best possible outcome. Outside of the office, Braeden enjoys spending time with his wife and young son, weight lifting, running, hiking and anything to do with the outdoors.